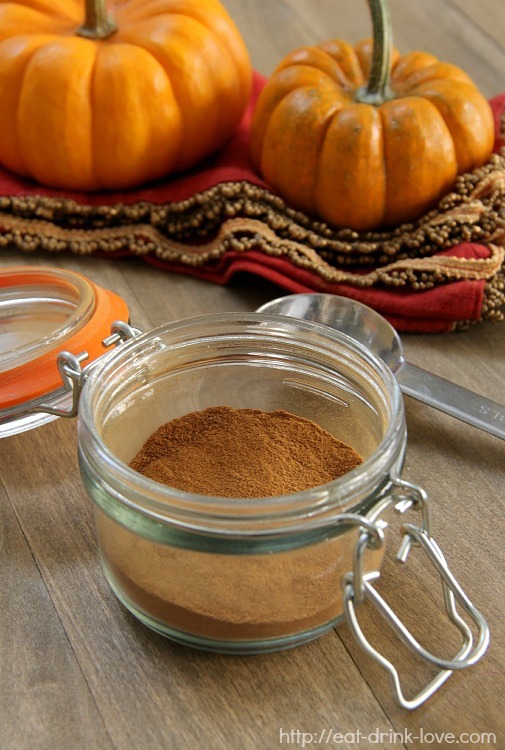 Homemade Pumpkin Pie Spice - Eat. Drink. Love. Ok, we did it. We couldn’t wait any longer. It was just too difficult. Our Halloween decorations are up. And then Sunday afternoon, I was laying on the couch with all of our Halloween lights on, a gazillion fall-scented candles were lit, and I took a nap and it was all so glorious. Pure bliss. I’m giving you guys a lot of pumpkin stuff lately. I hope you’re not sick of it already. 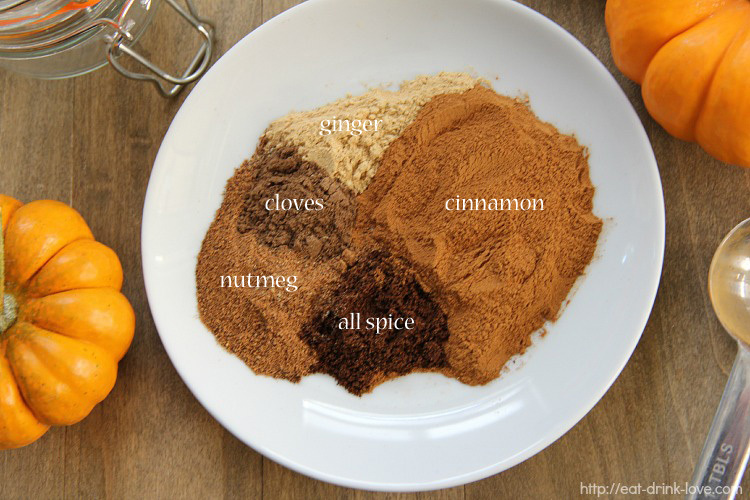 With all of these amazing pumpkin recipes floating around in the blogosphere, you are going to need a ton of pumpkin pie spice handy. I cringe every time I go to the store to get spices and see that a tiny bottle costs $6. That’s a lot of money! Especially when you consider the fact that you probably already have most of the individual spices you need right in your kitchen. 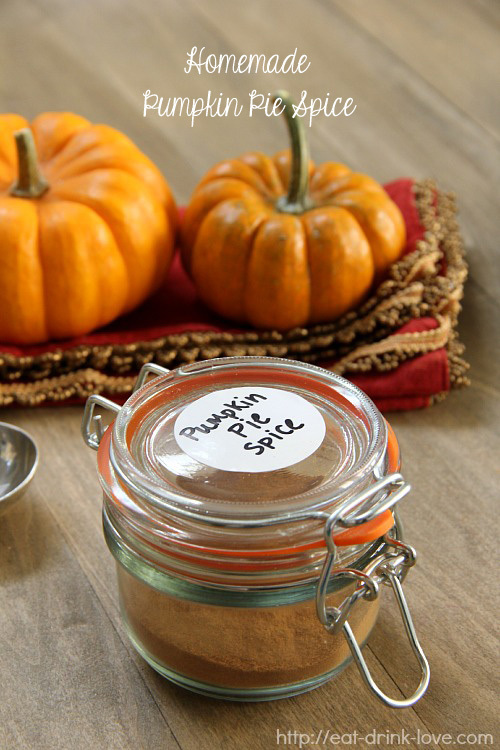 Homemade pumpkin pie spice is not only great to keep on your own counter, but it also makes a cute little gift to give to family and friends, just find some small jars, cute labels, and maybe some ribbon! 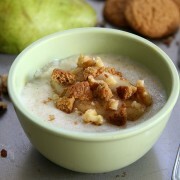 Add all ingredients in a bowl and mix until well-combined. Store in an empty spice jar or container. Seriously one of my fav spices and so worth making your own! This is great to know! I am always running out of pumpkin spice this time of year!!!! I love how much you get into Halloween! So much fun! This is such a good idea, I can;t wait to try it myself! I love pumpkin so I will have to use this in the recipes. 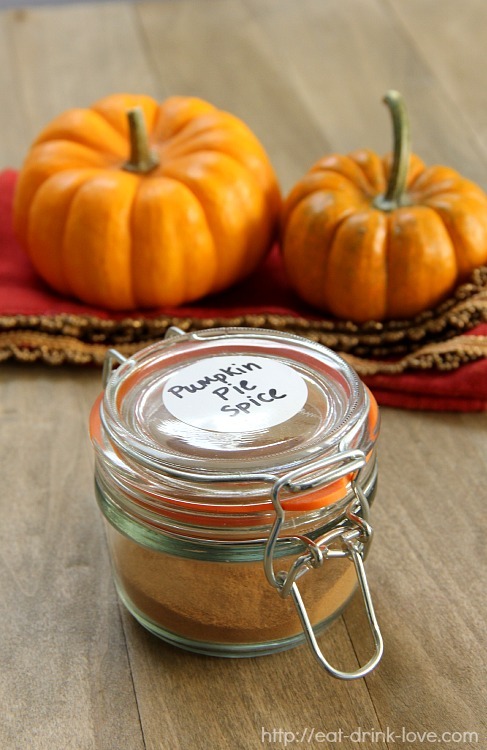 I’m with you, it’s way too expensive to keep buying premixed pumpkin pie spice! Great gift idea! 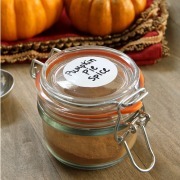 Oh yeah, I’m going to need get my pumpkin pie spice stock going for the upcoming pumpkin recipes that will be happening in the kitchen. Homemade is the way to go; it’s so much cheaper. Love this! Every year I tell myself I’m just going to make my own pumpkin pie spice, but I always end up being lazy and buying it at the store. That’s it. It needs to happen–it’s so easy, and so silly that I am spending money on it at the store! PS: I love how these photos scream fall! It’s always nice make your own spice, a nice thing to give away as gifts too. love the combination here. That makes a super sweet Fall gift! I love pumpkin spice! 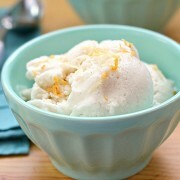 ohmygoodness I think I need to make this tonight! I also think that my pumpkin pie spice expired 6 years ago…whoops! I love pumpkin spice, great flavor to add to things! We just moved and the thing I am most excited for this weekend is picking out pumpkins for the front steps. One of the best flavors around! I’m definitely going to make some and a little extra for x-mas gifts! 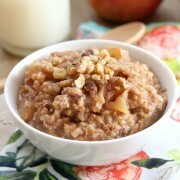 Pingback: Homemade Pumpkin Applesauce - Eat. Drink. Love. Pingback: Microwave Caramel Sauce - Eat. Drink. Love.